Today Beadsaholic brings a special inspiration for Father’s Day featuring Trollbeads! This week I have been celebrating Father’s here on the blog for Father’s Day coming up this Sunday, June 16, 2018 and today I am celebrating with a to die for Trollbeads combination! I’m loving the small silvers with the new Wings of Amber on the brown leather. I think it gives the perfect unisex look and my husband has been rocking this bracelet! I’m loving the Wings of Amber, if you have been following me on social media, then you have seen a few of these ambers in other combinations, but I think they truly look fantastic on the brown leather. Each Wings of Amber kit comes with a nice mixture of Ambers. This amber here on the left is so yummy! It is full of sparkle. Trollbeads Wings of Amber is this year’s Trollbeads Day bead, it comes in a kit or individually and you have the option of one or two bees. My kit of ambers were all different colors, there are nine ambers with a single bee and one amber with a double bee. All the ambers in my kit are an average size of approximately 14 mm high. I had fun creating this fun Father’s Day combination for my husband who was such a great model 🙂 I love the leather bracelets for summer, on a hot day they don’t seem to stick to you as much as a bracelet full of beads, plus it’s a fun change up. I think any of these beads would make a great gift for Father’s Day. If you would like to shop for any of the beads I featured here today, you may do so by clicking any of the following links. 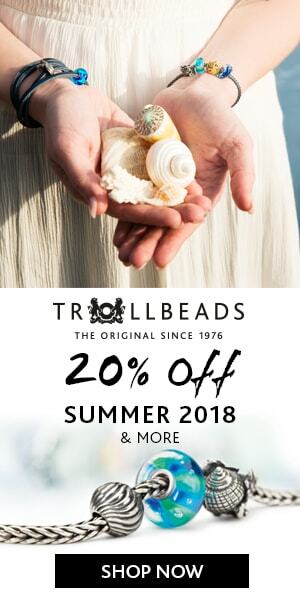 Trollbeads USA is an affiliate link and they only ship with in the USA, all other links are Featured retailers here on Beadsaholic and ship world-wide! Do the Father’s in your life wear beads or like jewelry? Do you share your beads with them? My husband will wear them from time to time, especially if it’s a theme that represents his favorite football teams! As always, I love hearing from you all, so leave me a comment below! Happy Father’s Day! Hope you all have a great weekend! 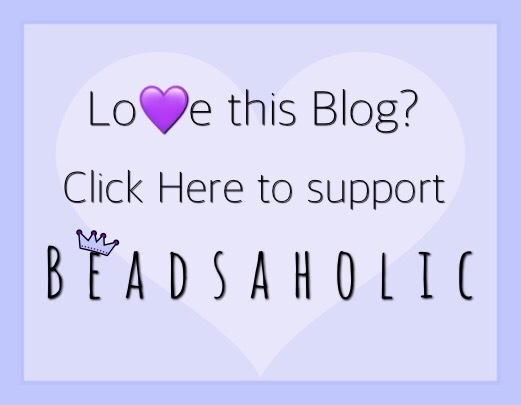 ← Vikings – Celebrating Father’s Day – Featuring Lundd Denmark and Beauty Beads!